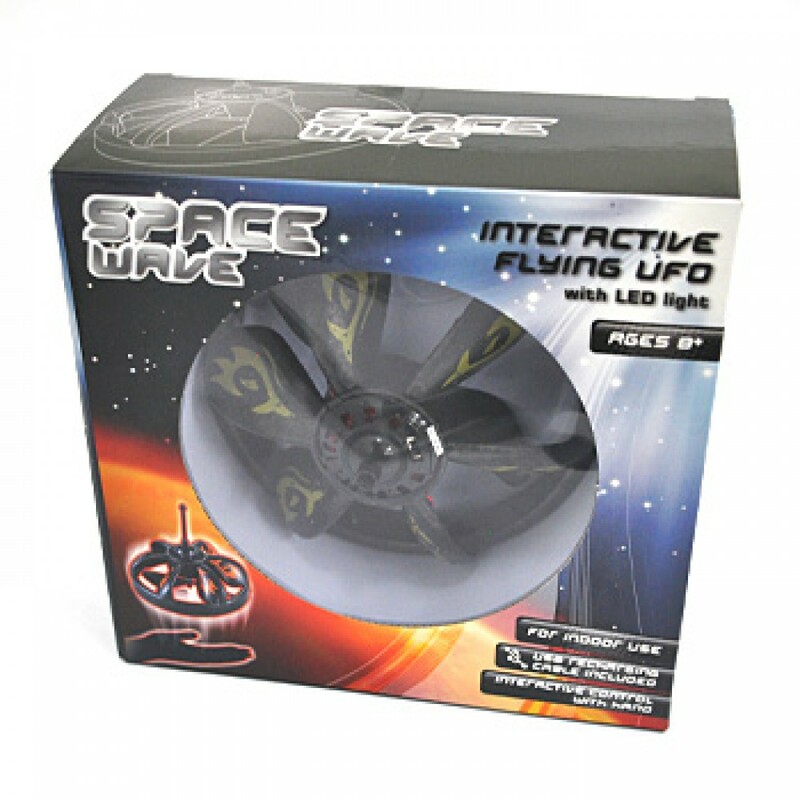 Space Wave Induction Flying UFO Ask a question about this product When someone sees the Space Wave Induction UFO for the first time - chances are their first reaction will be "What the heck is that?!" (Well, that was our reaction.) And then as soon as they see it in action, their second reaction is "Where can I get one?!" Well, you can''t have ours, we''re still playing with it - but we do have a few spare out the back that you might like to order (although you''d better be quick). The Space Wave Induction UFO does one thing - it hovers in mid-air. It doesn't sound quite as cool when you say it, but when you SEE it, you''ll be absolutely mesmerised. 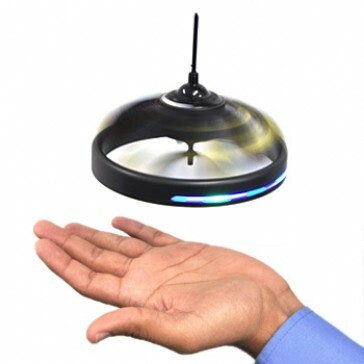 There''s no remote control, all you need is the palm of your hand (or leg or foot etc) and the Space Wave Induction UFO will magically react to your movements (for those of you who are too grown up for "magic" - it uses altitude sensing technology to hover above just about any object!) You can throw it to one another, without it ever touching you - "Hey look mum, no hands!" Or you can make it dance all around your body, it''s like a science fiction hacky-sack! Go on, give someone the magic of a Space Wave Induction UFO - it''s guaranteed to have them floating on air! 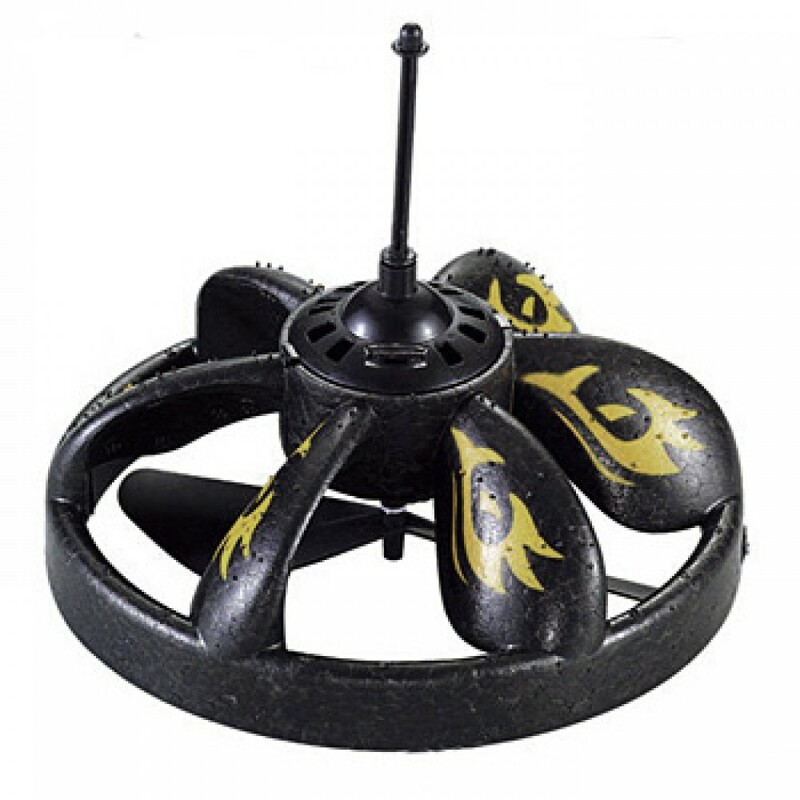 Features: - Indoor flier - Automatic ground sensors - Controlled with any flat surface, including your hand - Once you're done, plug it into a standard USB port for easy charging (USB Cable Included) Recommended age: 8 years and up.